Preschoolers are right on the verge of being a big kid and starting school but still have that precious innocence about them. They have an insatiable curiosity about the world and they are finding their independence, developing their personality and establishing their preferences in ways that can only be denied at their parent’s peril. Finding the right gift for kids at this age is a lot of fun, but there is a lot more pressure to get it right too. Let us help you with these great gift ideas. By the age of four, a kid’s bedroom has become their own personal refuge so help them take ownership with a gift to makeover their space. Beautiful new bedding can quickly and easily add some character to a preschooler’s room. 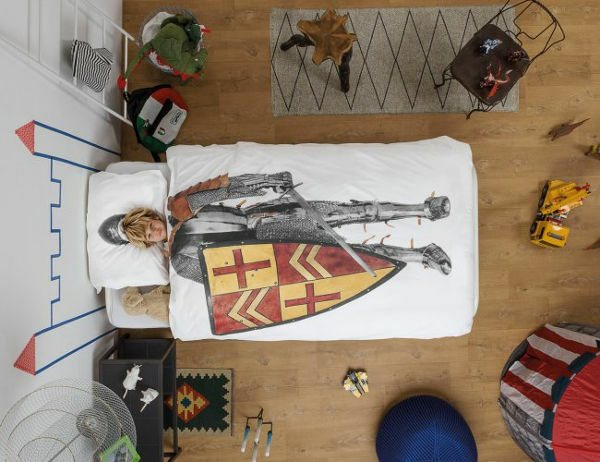 We love the fun range of kids bedding from Snurk (EUR €59.95) where your child can sleep out their fantasy of being an astronaut, knight in shining armour or ballerina when they grow up. Pottery Barn has a simply gorgeous new collection for girls including the Bailey Ruffle Quilt ($232) and the Bailey Mermaid Sheet Set for $84. 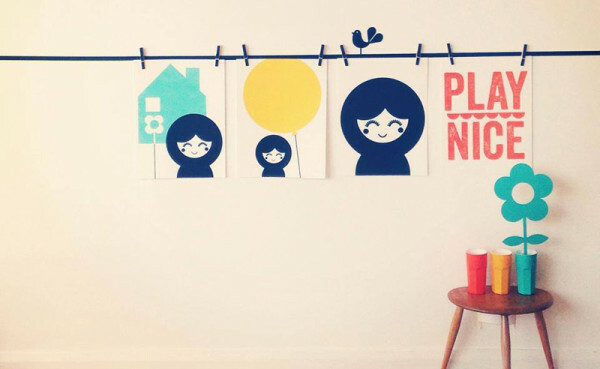 Accessorise with a colourful, limited edition beanbag from Kip & Co for $139 (pictured at the top), or some stylish wall art from the likes of Rachel Powell (above) or May and Belle (below). A toy makeover is likely in order by this age as well and here are some that will definitely keep their attention. This is the time when kids really start to come into their own physically. 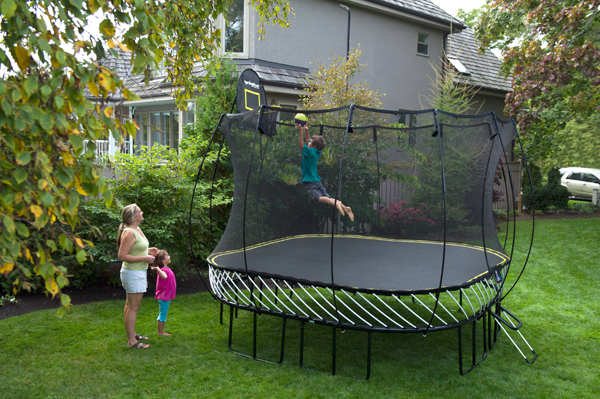 They’re bigger, bolder and more coordinated, so a trampoline can serve up stacks of fun. If the budget stretches, we recommend springing for a Springfree trampoline. Widely recognised as the world’s safest trampoline, they are available in a range of sizes to suit your backyard starting at $999. A Castle and Cubby cubby house will keep kids’ imaginations firing for hours and it won’t be an eyesore in the backyard. 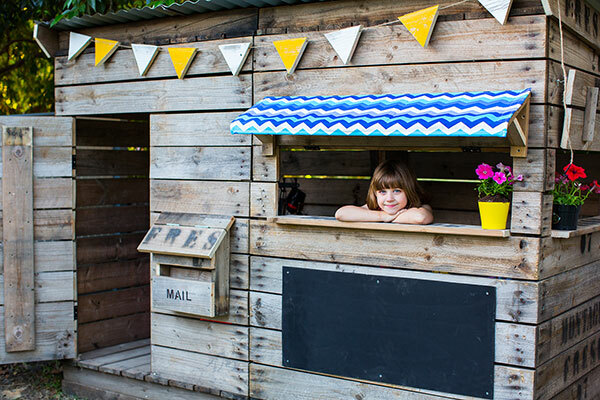 Made locally in Melbourne, these cubby houses start at $650 and use clever and creative upcycling to make kid-friendly spaces that are quaint and full of character. Preschoolers always seem to be in a rush and why not, when they’re learning and discovering something new every day. Help them get there faster with a Micro Sprite scooter, the ride-on designed just for this age group. Trust us, these machines fly – you’re going to have to run to keep up! 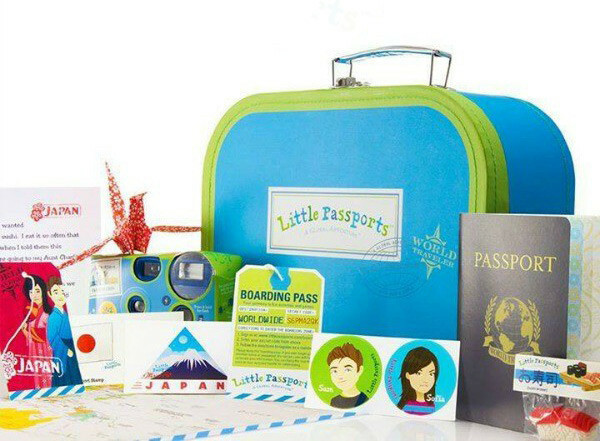 If your preschooler loves receiving mail and asks too many questions for their own good then Little Passports is the perfect gift. Now available in Australia, this is an entertaining and educational gift that keeps on giving month after month. Early Explorers is aimed at kids aged three to five and subscriptions start at US$13.95 per month. 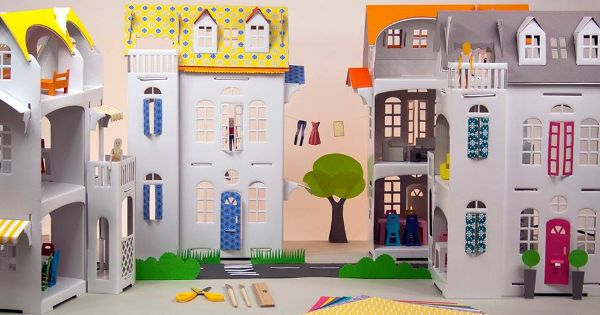 Children with a flair for crafts will love the doll house mansions from Etsy store, the Paper Imagination Shop. They can decorate them inside and out to their hearts content and with prices starting from $22, parents won’t need to bust the bank to afford one; it’s a win-win. This is also the age for games and puzzles and Eeboo makes a whole range that are a treat for the eyes as well as the brain. The Eeboo collection runs the gamut from educational – helping with reading and maths skills – critical thinking and just pure fun. The company is based in New York, but you’ll find a whole bunch of Eeboo goodness locally over at Good To Play. 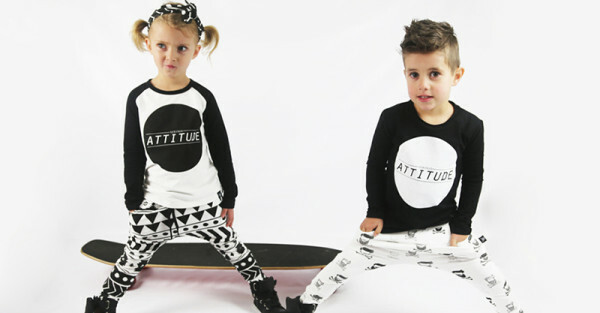 Is your preschooler getting a bit fussy about what they will and won’t wear? Find the perfect outfit to reflect their personality and preferences with something hipster cool from local label Oovy. 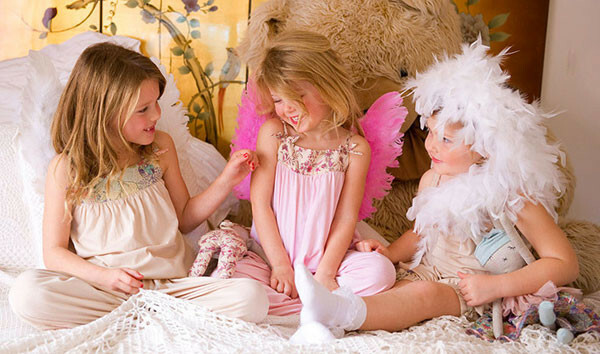 If you have a girl that is more of a free spirit, then anything from Australian designer Dimity Bourke is sure to impress. 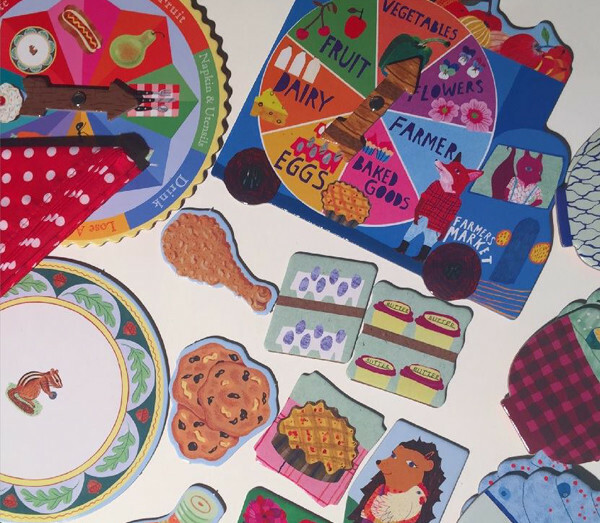 We hope these ideas have helped you move from stumped to pumped and have sparked a flurry of online shopping in readiness for your preschooler’s next birthday. 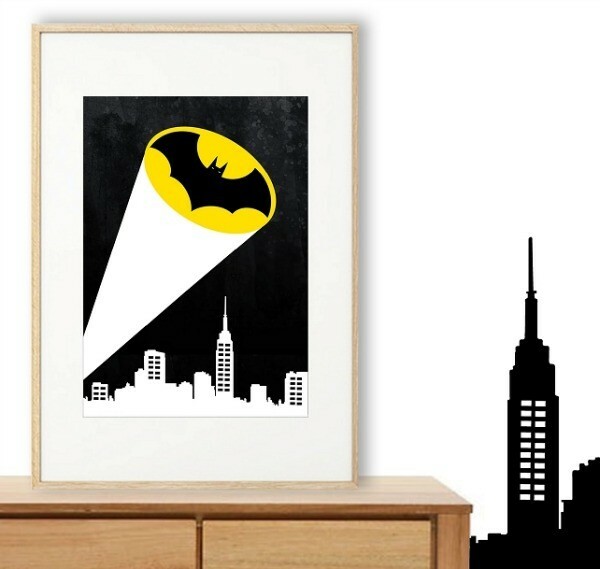 Do you have a younger or older child that you need birthday ideas for? Try these posts for perfect first birthday gifts and amazing gifts for toddlers.